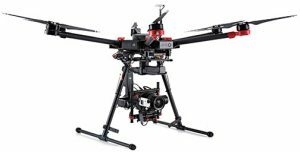 For cinematographers, drones make aerial filmmaking so much easier to manage than in the past, where helicopters or cranes might have been necessary to shoot from above. What’s helping is that the best drones are getting better. 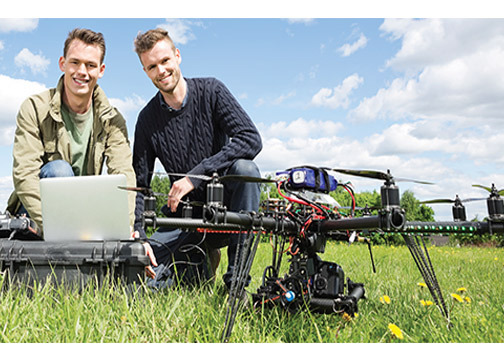 Equipped with improved onboard cameras, or gimbals capable of handling DSLRs, mirrorless or GoPro cameras, these unmanned aerial vehicles (UAVs) are fast becoming a key tool in any shooter’s arsenal. 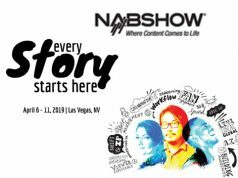 The Federal Aviation Administration (FAA) still regulates drone flight in the country and may require permission or authorization for certain locations. If you plan to shoot abroad, you may have to do the same in other jurisdictions with local authorities. Once the red tape is over with, however, you have the skies at your disposal. We’ve honed in on these four drone solutions built to go to work in the air. Rather than a drone, the Zenmuse X7 is a detachable camera that can work with the DJI Inspire 2 drone to capture cinematic scenes with greater ease and flexibility. The 6K RAW camera is made up of a 3-axis gimbal with a DL mount and Super 35 sensor. It is capable of shooting up to 6K in CinemaDNG and 5.2K in Apple ProRes. Both the H.264 and H.265 codecs are supported when saving to a microSD card. Able to take 24MP stills, the camera is good for capturing scenes with clarity. 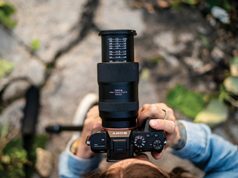 Moreover, the X7 isn’t stuck to one lens; in its full capacity it is actually a four-lens system that covers different focal lengths with the same maximum f/2.8 aperture. Coming in 16mm, 24mm, 35mm and 50mm, the prime lenses aren’t all bundled with the gimbal, though you can buy all four together as a kit. The X7 does have a 1.5x crop factor, making each focal length tighter. DJI says the X7 has 14 stops of dynamic range, which it believes is capable of getting more detail out of every scene, regardless of conditions. 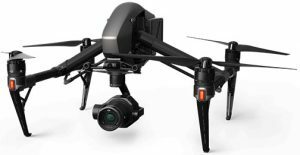 With the Inspire 2 and X7 (plus lens) together, the whole package would weigh in at less than 9 pounds, thereby making it easier to deploy compared to larger models. Additionally, the reduced flange focal distance of 16.84mm makes the DL mount less conspicuous than the previous PL mount. Nothing changes in how the Inspire 2 flies while attached to the mount. Though heavier than it would be without it, the drone’s flying modes all work the same way. That includes newer modes, like Points of Interest and QuickSpin. Two-way obstacle avoidance and automatic flight paths also apply. SRPs start at $2,699.99. Of all DJI’s drones, the company positions the Inspire 2 as being the most professional of the bunch. 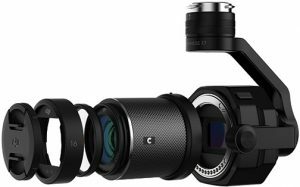 It is considerably modular, given it can work with the Zenmuse cameras and, assuming they use the latest versions, pilots can shoot in both 6K CinemaDNG and ProRes via its Cinecore 2.1 image-processing system. Varying flying modes enable shooters to go manual or stick to automated routes. Spotlight Pro mode locks onto a subject and sticks to it using the 360º gimbal. Initially, the gimbal was limited to a 320º rotation, but QuickSpin now uses a technique whereby the drone spins the full 360º on its own, regardless of whether it’s static or moving. That’s an addition to TapFly, which separates the camera view from the flight view. This permits shooters to set a flight path and only control the gimbal along the route. Moreover, ActiveTrack is designed to better focus on a variety of objects, not just people. Built-in two-way obstacle avoidance applies throughout, sensing objects in its path up to 650 feet away. FlightAutonomy puts this into effect in two directions; it kicks in for automatic flight routes as well, including instances where the drone is flying back to its takeoff point. DJI’s LightBridge technology remains the same, more or less. The maximum distance is still 4.3 miles for an HD video downlink, give or take some distance depending on conditions. The Broadcast mode beams a signal up to 1080p at 60 fps, broadcast standard 720p at 60 fps, or 1080i at 50 fps. Battery life depends on which camera is attached. In addition, a phone or tablet is required to see the footage, unless pilots plug into a monitor or satellite truck. SRPs starts at $2,999.99. This drone is almost exclusively aimed at filmmakers who want a higher payload (up to 14 pounds) that can take a variety of different cameras onboard. Any of the Zenmuse cameras will work the gimbal. However, at this price, cinematographers may want to go even further. The Matrice 600 Pro works with the Red Epic, making it capable of shooting at a very high level with cameras of that kind of caliber. Micro Four Thirds cameras fit, but it’s not always certain that full-frame mirrorless cameras—despite being slightly smaller than DSLRs—will fit just as snugly. The Zenmuse Z15-A7 is made for Sony a7 cameras, while the Z15-GH4 works with the Panasonic Lumix GH4. Furthermore, using a Ronin-MX or similarly sized gimbal could do the trick for other cameras. But it would add to the drone’s already noticeable size and weight. An investment in something like an Intelli-G remote to better control the gimbal may also be necessary. 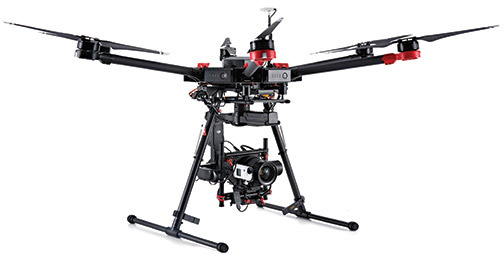 The landing gear does retract to accommodate a full range of motion for the gimbal to shoot all around. It also uses a dynamic six-battery system that relies on a redundancy where all six rotors need to be operational. If one fails in mid-flight, the Matrice 600 Pro returns to its takeoff point immediately. A charging hub recharges all six batteries at once to get back up and running. LightBridge 2 works the same way as it does on other DJI models. Transmission range and broadcast quality mirror the limits in the Inspire 2. Flight time varies considerably, depending on the gimbal and camera attached. It can go as high as 35 minutes with a Zenmuse XT and down to 16 minutes with a Ronin-MX and Red Epic attached. $4,999.99. This isn’t a drone but rather a camera that, if you can get it in the air, would arguably produce content on the level of any Hollywood studio. The Helium 8K S35 is only the body, or what the company calls the “Brain.” It houses the image sensor and computing components. Lenses are sold separately. 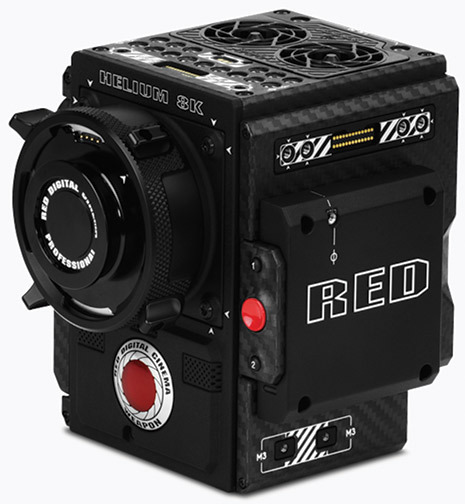 It can simultaneously record in RedCode RAW and Apple ProRes or Avid DNxHR/HD, with dynamic range up to 8K. The 35.4MP CMOS sensor can manage 60 fps at 8K Full Format (8,192×4,320) or 75 fps at 8K 2.4:1 (8,192×3,456). Unlike the Red Epic and its distinct compatibility with the Inspire 2, using this in the air will require hunting for the right pieces to make it possible. Red doesn’t indicate there is a particular gimbal or drone that can do that, which puts the onus on pilots to improvise. Since the Brain comes on its own, the company recommends an expander, battery, lens mount, display and media storage capable of handling massive files. The final price point goes up quite a bit once all those factors come into play. 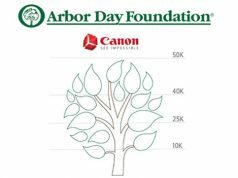 But if money is no object, or the budget is high enough for a particular project, it would be hard to replicate its quality and resolution in the air with other cameras. $24,500.